In addition to guest posting on the UpCity blog, Enola Labs Software is featured as one of the Top Software Developers in Austin. Check out their profile here. Remember Marketing-101 class where you conducted endless SWOT analyses? Time to put that to use. If not, here is a quick recap before we dive into using a competitive analysis to fine tune your content marketing. A SWOT analysis identifies the strengths and weaknesses of your business as well as opportunities and threats to your business. This can be utilized to understand what your company is doing well and what needs to be improved, and can be drilled down for specific areas of your business—including content marketing. 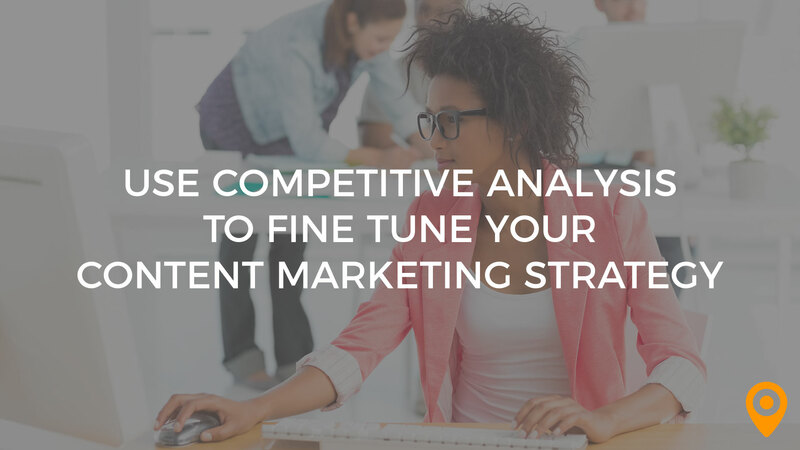 By analyzing the strengths and weaknesses of your content marketing strategy—as well as threats and opportunities as observed through competitive analysis—you can create a winning content marketing strategy. 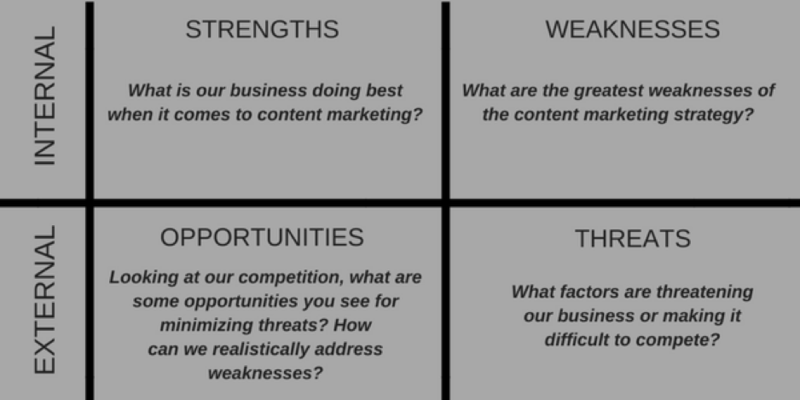 Analyzing strengths and weaknesses is simple for most companies because you are dealing with your own content marketing plan every day. Identifying opportunities and threats in a content marketing plan is the tricky part, and what we will focus on today in order to help your business improve. Competitive analysis in content marketing is the process of determining who your business’ competition is, what link building and other content strategies they are utilizing, and how you can use this information to fine tune your content marketing plan with those opportunities and threats in mind. Before you can dive into what content marketing strategies your competition is utilizing, you need to know who your competition is. It is important to recognize that your competition may not always be who you think it is. Start with a simple online search for your main keyword. For example, the company I work for is a software development company in Austin, TX. So, the first keyword phrase I am going to Google will be “software developers in Austin” or “software development company in Austin”. Next, create a list of businesses that are ranking on this first page of the search results. If you have multiple keywords or key offerings (most businesses will) then also create lists for each keyword. For example, I may also search keywords such as “web app development company” and “Mobile app development in Austin”. This list will make up your main competition when it comes to search engine rankings. 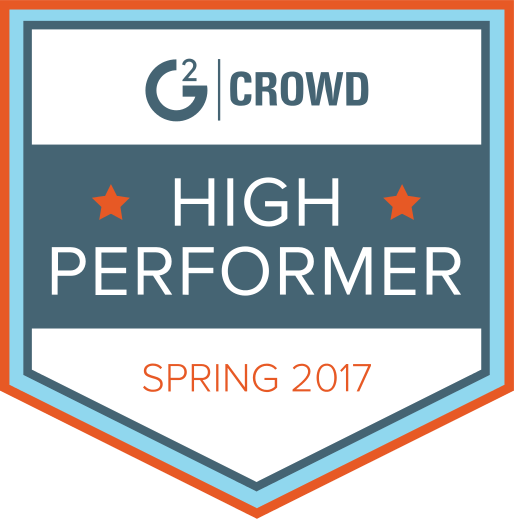 Usually, the people ranking above you are executing their content marketing and SEO strategy better than you, so now you know who to watch. You can also create a list of businesses who are paying to rank above you in the “sponsored” section just to keep an eye on what keywords companies are paying for in your industry and geographic location. Now that you can identify your competition, it is time to evaluate their backlink profile. Don’t do the heavy lifting yourself. There are several tools that can allow for competitive link analysis with the click of a button. My favorite tools are Ahrefs’ “Link Intersect Tool” and SEMRush’s “Backlink Gap Tool”. Both work similarly by allowing you to type in your competition’s URL and then receive a list of backlinks they are receiving to specific pages of their site. Use this information to evaluate where your competition is successfully reaching out for backlinks. Are they on specific directory sites your business is not located on? Are they contributing content or expert knowledge to these sites? Use this information to your advantage. Chances are, if those domains are backlinking to your competition, you may be able to reach out with a similar strategy to get a backlink to your own site and start leveling the playing field. This does not mean you need to mimic what your competition is doing from a content perspective, however, you can use their content to inspire your own strategy. For example, you might notice your competition is guest posting on blogs and utilizing case studies to support their content. Or, perhaps they are writing about current events and trends in their industry. 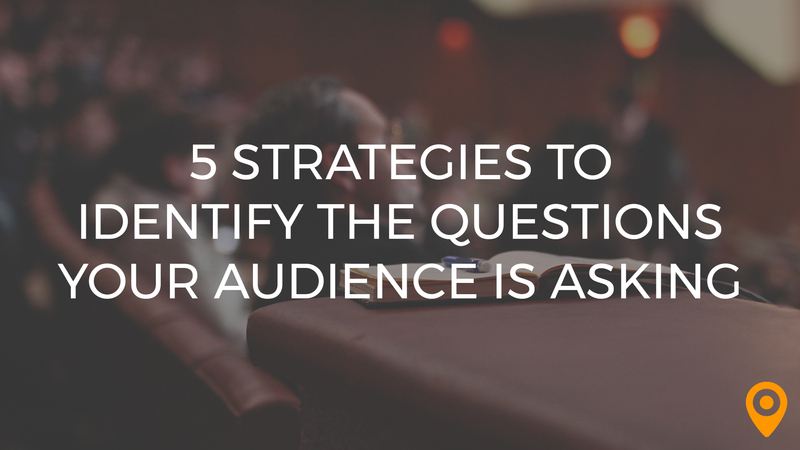 Take all of this information and guide your content plan for your specific business. Create more thorough or higher quality content than your competition, utilizing the angles they are approaching for content marketing. Question: What do you Like Most About Your Competition’s CM Strategy? Lastly, you need to ask yourself this question: What do you like most about your competition’s content marketing strategy? Do they have clean website copy? Is their content more thorough or more well developed than your content? Does their content read more naturally than yours? Do they incorporate more imagery or videos within their content? All of these things you like about your competition’s content are most likely helping them achieve greater success with their content marketing strategy. Make a list of these items so that you can begin incorporating them into your own strategy in your own unique way. Eventually, you will begin to see your rankings improve as you incorporate new and fresh ideas into your content marketing plan. 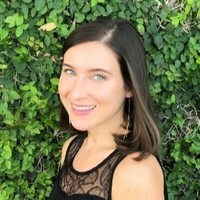 Alexandra Bohigian is the marketing coordinator at Enola Labs Software, an Austin, TX based software development company. Alexandra’s writes about technology, marketing trends, and current events for a variety of publications.